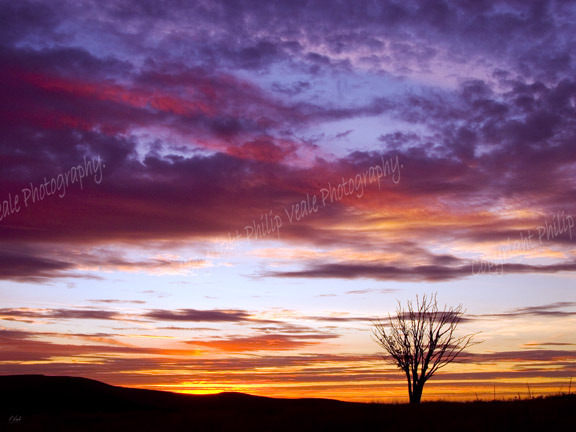 Philip Veale Photography: Llangynidr Moors Sunset Silhouette. Wide Format & Limited Edition. Silhouette of a lone tree against a stunning sunset on Llangynidr Moors.